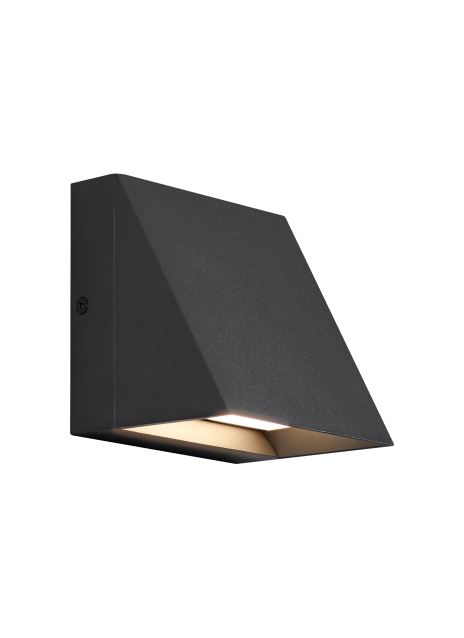 An architectural profile reminiscent of beautifully classic roof lines delivers significant light output in the Pitch modern LED wall sconce by Tech Lighting which is suitable for both indoor and outdoor applications. The Pitch’s die-cast metal body, available in three size configurations (single, double, or triple), houses powerful LED light sources that create visual appeal as light cascades from one angular tier to the next. For added design options, the Pitch can be mounted either as a down light or as an up light. The durable, marine grade powder coat finish is available in either Charcoal, Bronze, Black, or Silver. Can be mounted for up light or down light.